Nicola Cobbold was appointed a Trustee of The Portland Trust in October 2015. Having joined The Portland Trust in 2007, she held the position of CEO from January 2009 until September 2015. Previously Nicola worked as a lawyer, specialising in media and copyright. Between 1995 and 1999 she lived in South Africa. In 1998 she headed up the legal team which bid for and won the first private South African free to air terrestrial television license, subsequently launching e.tv in a record breaking six months. 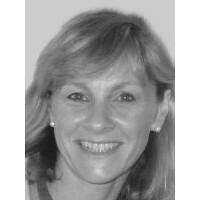 Prior to specialising in media, Nicola worked as a corporate lawyer at Linklaters in London and Paris Interspersed with her legal career, Nicola has worked in reconciliation and coexistence. In addition to compiling a report for the Truth and Reconciliation Commission in South Africa, she was a trustee (2001-2003) of the Jewish Council for Racial Equality, a charity established in 1976 to combat discrimination and promote racial justice in Britain. She was a governor of the Hebrew University (2010-2013) and of Seeds of Peace (2011 – 2014). She is currently a board member of the Eastern Mediterranean International School in Israel and the Institute for Jewish Policy Research. She is a graduate of Cambridge University.